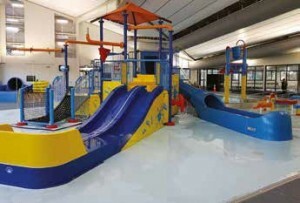 According to Mark Watson, innovation when it comes to pool construction is also something for commercial pool designers and operators to take on board. 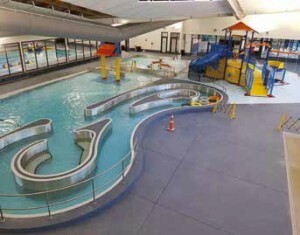 “Much of the build time for new pools is typically taken up with the traditional concrete casting process,” he says. “Complexities include difficulties created by weather conditions and regulatory compliance. Significant risks are associated with pouring vast amounts of concrete, creating the potential for time and budget overruns. “And of course, concrete is not in itself waterproof, so there is the challenge of ensuring durability and performance over a longtime period. “But if you reduce the amount of concrete casting required, the whole project suddenly gets a lot less complex, and therefore shorter from start to finish. 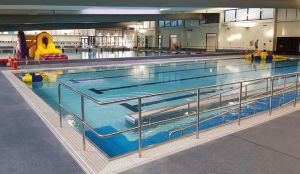 It’s even possible to remove the pool from the critical path for the build plan.” According to Wrightfield Pools, this is one of the reasons they focus on stainless steel pools. Offsite fabrication using modular construction methods is possible, and the company has found that less time is needed at the site itself. Installation is streamlined, with just a single concrete slab required to create a horizontal footing for the buttress support system. The company’s experience has been considerably shorter build times and less risk of delays than with traditional concrete construction.